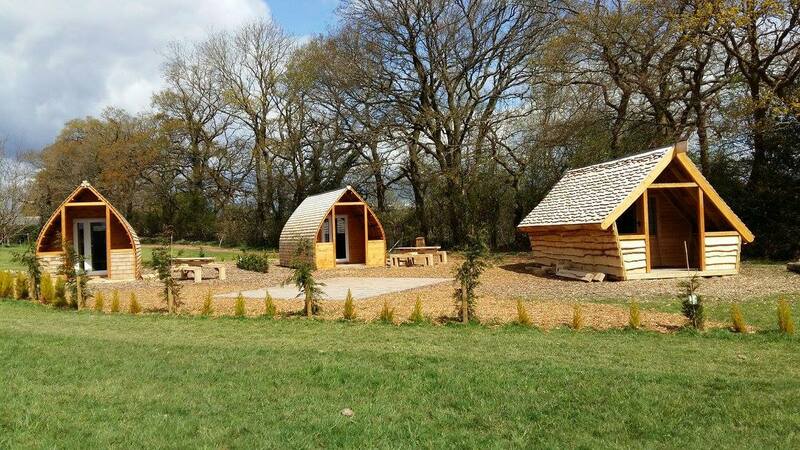 Our charming campsite is in 30 acres of glorious countryside and boasts far reaching views. We have 50 pitches in total for campers or tourers. There are three superb fire pits which we rent out for our guests to enjoy. They are great for keeping warm, having a focal point or even cooking your dinner! Facilities include three shower blocks, toilet blocks and a laundry room. 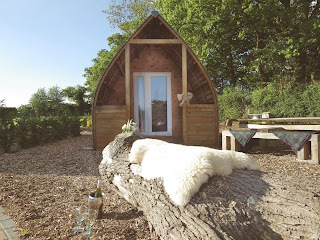 You can enjoy that added bit of luxury in our pods. Pathfinder, Cedar & Higgledy Piggledy pods each have their individual design and are ideal for people who don’t fancy the hassle of putting up a tent. Each pod comes with a double bed and bunk bed. There is also a camping fridge and kettle. Outside is a lovely covered porch with fairy lights and a communal area for cooking with fire pits and BBQs.